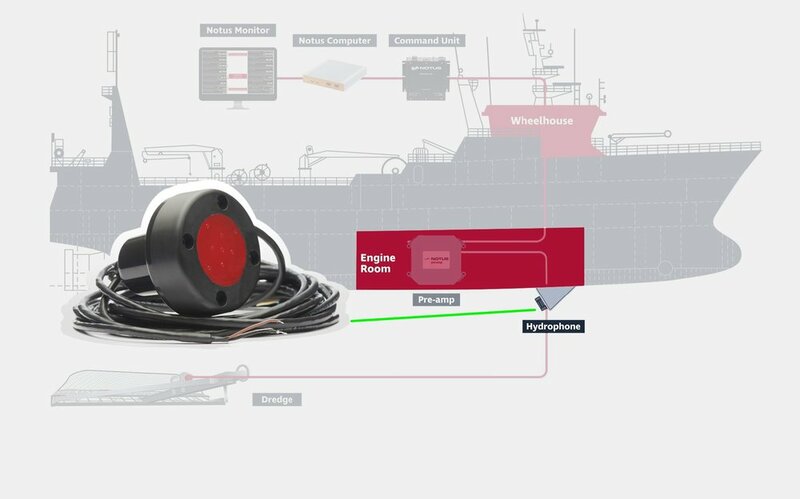 The Notus Dredgemaster is a wireless dredge monitoring system. Its design is based on more than 25 years of experience. Notus has worked closely with customers to offer sensors that provide reliable, real time data and convenience of use. 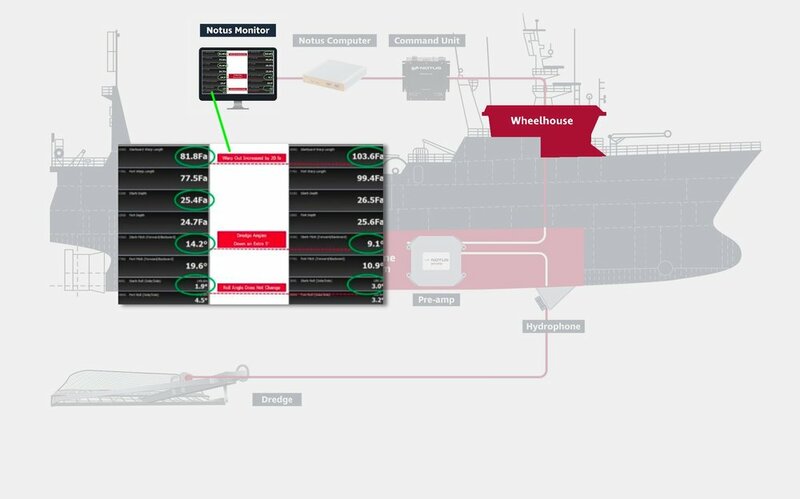 With our unique and reliable Activ-Omni Intelligence, Notus is the only dredge monitoring system to boast two-way communication, offering warp lengths, AND true omnidirectional capabilities, providing sensor data when it’s needed most. THE NOTUS DREDGEMASTER PROVIDES OPTIMAL PERFORMANCE, FOR SUPERIOR RESULTS. This is the forward and backward tilt of the dredge. If the pitch angle is incorrect, the dredge does not dig into the bottom correctly. Pitch angle indicates if the bag is full. This feature alone can cut tow times in half. This is the side tilt of the dredge. See instantly if the dredge begins to roll over. Notus sensors boast an active, two-way communication system, not offered by other gear monitoring systems. Instead of relying on traditional one-way pingers, Notus systems ‘talk’ to each other via proven two-way protocols. Using this reliable technology, Notus is the ONLY system capable of delivering warp lengths, giving a true view of the gear. Notus is the only system to offer true, omnidirectional pattern beams in all our gear monitoring sensors. This is critical when dredging in less than ideal conditions when information is needed most. This is the forward and backward lean of the dredge. Pitch angle indicates if the bag is full. This feature alone can cut tow times in half. Indicate the exact amount of warp let out on each dredge. Allows for precise length of wire. For example: easily set out 317 fathoms of warp to get a precise pitch angle on the dredges. This is the side tilt of the dredge.